The Democrats lost the election, and now they’re just trying to pick up the pieces. The party’s current social media strategy is unfortunate—using reaction gifs to warn of the horror a Trump presidency might bring. 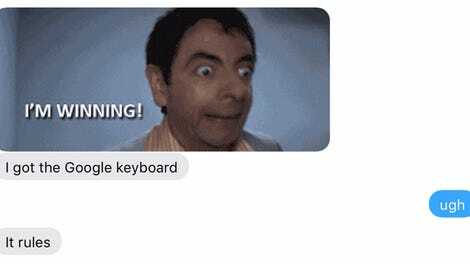 Reaction gifs, Ashley Feinberg wrote Gizmodo in May, are for idiots: “Gifs are always going to be a little bit obnoxious... It serves no funny, clever, particularly expressive purpose.” In the case of the Democrats, these gifs have more sinister connotations. It’s disturbing to see a Leslie Knope gif attached to tweet about Trump using the presidency to further his business interests. After all, this is the political party that is supposed to defend us against any harm Donald Trump might cause. I understand the impulse behind thinking these types of images make your content more relatable. But this is the official Twitter account of a major United States party. Donald Trump might be “going low” with many of his Twitter jabs, but if the Democrats want to “go high” this isn’t the right approach. Remember “delete your account” and Hillary’s tOtALLy ePic eLecTiOn clApBacKs? It didn’t work. Now that Trump won, this isn’t a game anymore. There’s a lot at stake. Trump might’ve won some support using memes, but the outcome of the election showed the Democrats’ meme strategy was largely ineffective. At this point, reaction gifs are more than just inappropriate—it makes Democrats look weak.